Ringwood skipper Ian Holland continued his season strongly last weekend, notching up an unbeaten 199 before taking 3/16 off 5 overs against Frankston Peninsula. Round 10 of the Men’s Premier 1sts saw a weekend of mixed results and outstanding performances, with a performance that is likely to have set a record for the format and some upset results falling out of the matches. Ringwood defeated Frankston Peninsula on the road with the Rams’ skipper Ian Holland turning out a performance for the ages, finishing with an unbeaten 199 of 157 balls (15 x 4’s and 8 x 6’s) to help the Rams to 5/324 before ripping out the Heat top order to finish with 3/16 off 5 overs. Brodie Symons (39) was the best for the Heat in a tough day at the office. The Monash Tigers secured the points against Prahran thanks to 86 from Jake Fraser-McGurk and 5/41 (including a hat-trick) to Andrew Humphries. Arjun Dhull (62) on return to the 1st XI was the best for the True Blues. Melbourne were clinical against Northcote at the Albert Ground, winning by 9 wickets with Meyrick Buchanan (121* - 12 x 4’s) and Will Pucovski (82*) putting on an unbeaten 195 for the Demons 2nd wicket. For the Dragons, Solomon Mire returned to form with an even 100 (9 x 4’s, 4 x 6’s). Essendon defeated Melbourne University at Windy Hill thanks to a century from Michael Hill (104*) and an even bowling contribution from their bowling attack. For Uni, Jarrod Martignago (86) was the standout for their side. Carlton hung onto 2nd spot on the ladder with victory on the road against the reigning premiers Dandenong. Aaron Smillie (5/45) and Brayden Stepien (64) led the Blues, while Brett Forsyth (79) and Tom Donnell (3/29 in the unlikely role of wicket taker!) were the Panthers’ best. Casey-South Melbourne continue their charge towards a finals spot with an upset victory over St Kilda at Casey Fields. Lachie Sperling (60 + 2/42), Jordan Wyatt (58) and Nathan Lambden (4/47) were the best for the Swans, while Patrick Rowe (62), Damon Egan (50), Josh Manning (46) and Josh Bartlett (3/53) were the Saints better performers. The Greenvale Kangaroos produced the upset of the round when they knocked off the Camberwell Magpies at Greenvale Reserve by 25 runs. Sunam Gautam (37 & 3/21) and Nathan Johnson (3/28) led the Roos’ charge to an unlikely victory, despite the efforts of Lewis McManus (74) and skipper Andrew Fekete (4/26) for the Magpies. Finally, Footscray started 2019 on a positive by accounting for Kingston Hawthorn at home. The Dogs were led by another century from Dean Russ (107), with support from Travis Dean (68), Matt Underwood (46), Siddhesh Dixit (5/30) and Hamish Winter-Irving (3/25), while the Hawks were best served by Shorye Chopra (31) and Harrison Goad (2/61). Round 11 will be the last of the scheduled One Day games for the season and clubs will be itching to get back into the red ball matches with just 4 rounds left after this current round before the Finals. St Kilda (5th) host the Greenvale Kangaroos (17th) at the Junction Oval. The Saints will be keen to turn around some recent indifferent form and would have marked this as an easy win at the start of the season, however the Roos have won 2 of their last 3 matches and will again be pushing for an upset to make sure the competition is on notice. With the match being played on the Saints’ spiritual home ground (the Junction Oval), the Saints will be doing everything in their power on the field to come away with the points in this bout. Northcote (12th) host Casey-South Melbourne (7th) at Bill Lawry Oval. 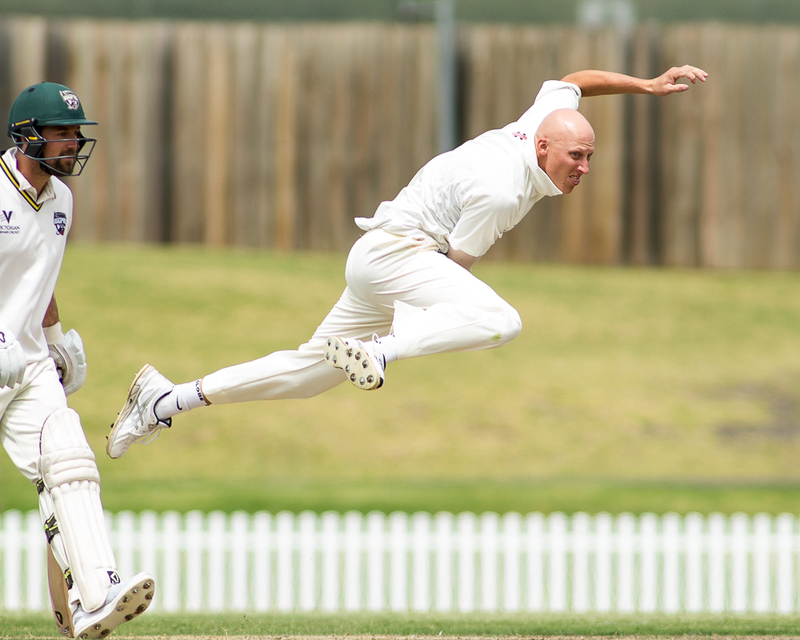 The Dragons found some form with the bat last week at the Albert Ground but the bowlers were left struggling for answers after the unbeaten partnership by Melbourne’s Meyrick Buchanan and test prospect Will Pucovski. The Swans on the other hand secured another win against a finals contender in St Kilda and will be keen to keep their push to hold a spot inside the top 8 going. Expect a good battle in this game, with the Swans to start favourites if captain/coach Luke Wells can get his pre-Christmas batting form going. Essendon (3rd) host neighbours Footscray (15th) at Windy Hill. This battle may not look exciting by the ladder positions but both sides will want bragging rights until they meet again on the pitch. The Bombers have shown how keen they are to push for an elusive premiership with victory over Uni last weekend, while the Dogs accounted for Kingston Hawthorn to give their season a jump-start. Expect this match to be a lot closer on paper than first thought but the Bombers would have to start favourites at home. The Monash Tigers (11th) host Frankston Peninsula (16th) at Central Reserve North. The Tigers broke their 5-game losing streak with victory over Prahran and will know that they cannot afford to drop this game to have any chance of keeping in touch of the Top 8. The Heat were caught off-guard by the Rams and Ian Holland’s individual performance last week and will be keen to make sure there isn’t a repeat of that effort. On paper the Tigers’ bowling attack looks like it will be the make-or-break in this game. Tigers at home to win this one. Carlton (2nd) host Fitzroy Doncaster (1st) in a top-of-the table clash. The Blues will be feeling confident after defeating the reigning premiers Dandenong last week on the road and will be keen to make it 2-from-2 by defeating last season’s runners-up. The Lions will be looking to rebound after suffering a bonus point loss to Geelong at home last weekend and seeing their 7-point hold on top position reduced to just 3 points. With top spot on offer, I’m sensing the Blues can finish the weekend at the top of the ladder after a close game. Ringwood (14th) host Melbourne (8th) at Russell Lucas Oval. The Rams are coming off a big win against Frankston Peninsula and skipper Ian Holland’s outstanding individual performance and will be keen to get an upset against the Demons. The visitors will be keen to push further inside the Top 8 after last week’s dominant run chase against Northcote. With Will Pucovski now on CA XI duties, this will allow for Blake Thomson to return from a hamstring at Christmas and still have a strong batting line-up. Melbourne to start favourites on the road. Geelong (6th) host Kingston Hawthorn (18th) at the Geelong Cricket Ground. The Cats will be full of confidence after upsetting the ladder leaders on the road last week and will be keen to keep in touch with the Top 4 when they face the cellar dweller Hawks at home. The Hawks will be keen to build a united team after the club parted ways with former skipper Ryan Ninan at the Christmas break and will be keen for some players to push on further with the bat at a high-scoring ground such as the Geelong Cricket Ground. Geelong should win at home but can’t afford to be too casual about it! Prahran (13th) host Melbourne University (4th) at Toorak Park. The True Blues were undone in their run chase by an Andrew Humphries 5-for & hat trick, while Uni were unable to get over the Bombers’ pressure in the final overs at Windy Hill. 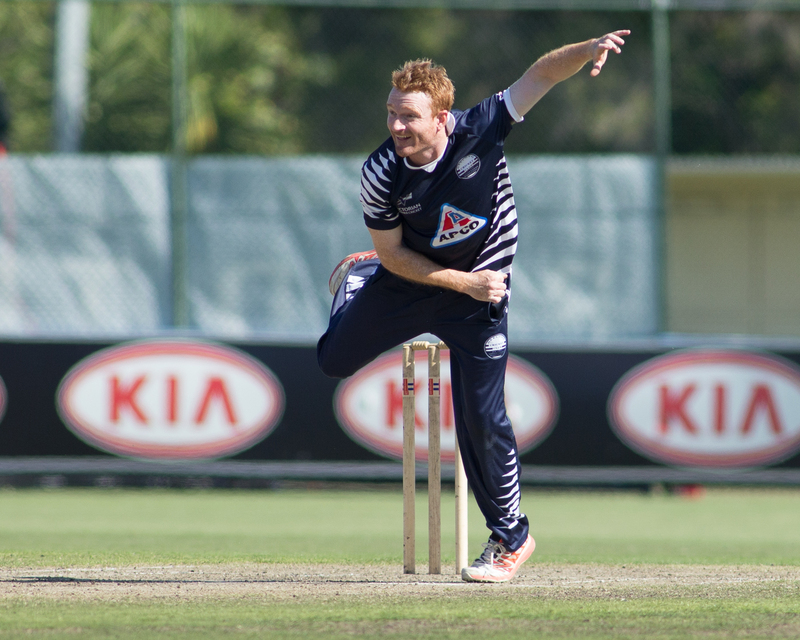 While Uni has a strong bowling attack with Alex Gregory and Steven Reid leading from the front, they will need to be wary of the True Blues batsmen with skipper Jake Hancock and Adam Bull both scoring well this season. Form says Melbourne Uni to start favourites in a match that has potential to go to the wire. Finally, the Camberwell Magpies (10th) host Dandenong (9th) at the Camberwell Sports Ground. Both sides will be looking to rebound from losses, with the Magpies especially keen to return to the winners’ circle after dropping their last match to the Greenvale Kangaroos. The winner of this match will keep their Top 8 aspirations going while the loser will need to find an outright result or two to keep their chances afloat. With the form of Brett Forsyth looming dangerous for the Magpies if they cannot dismiss him cheaply, this will see the Panthers start favourites in this match. 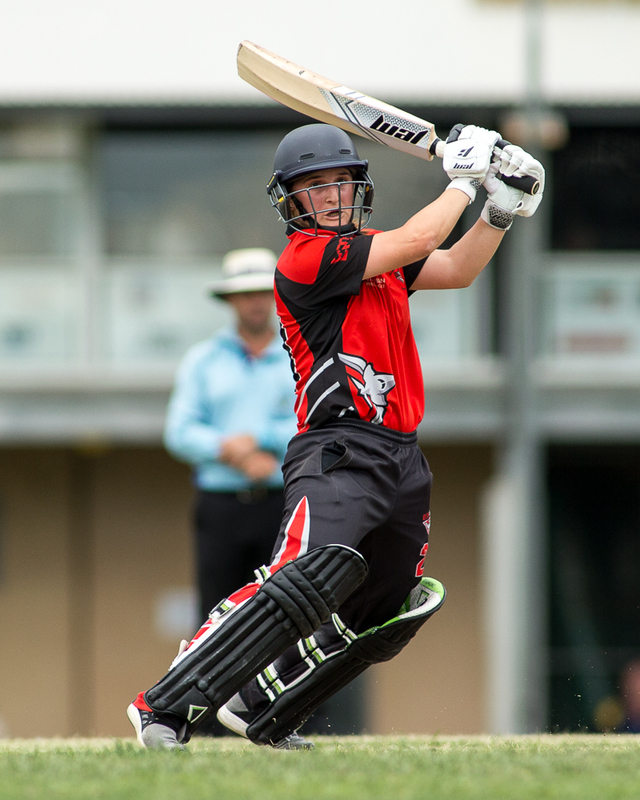 In Women’s Premier 1sts, the Finalists for the T20 component of the season are settled after last weekend, with Round 7 to see a dress rehearsal of the T20 Final to be played just 3 days later. Sides will again be juggling things with the Melbourne Renegades making the WBBL Semi Finals and the National Under 18 Female carnival in Ballarat and Bendigo on at present. Melbourne came away with the points against Carlton-Brunswick at Princes Park #1 with Amy Yates (65 off 35 balls) and Elly Donald (13 + 2/18) leading for the Demons, while skipper Addy Campion (48*off 51) and Ellie Mason (27 + 1/39) were the best for the Strikers. Dandenong (1st) host Essendon Maribyrnong Park (2nd) at Shepley Oval in the ‘dress rehearsal’ prior to the Final on Wednesday 23rd January. Regardless of the result in this game, the ladder positions will not change due to the Panthers’ superior Net Run Rate (2.12 to 0.9). Both sides will be keen to come away with bragging rights and take confidence into the Final the following Wednesday. This one could be decided on how much each side’s Victoria Country representatives have recovered from the Australian Country Cricket Championships held recently in Shepparton. Ringwood (6th) host Box Hill (7th) at Russell Lucas Oval. 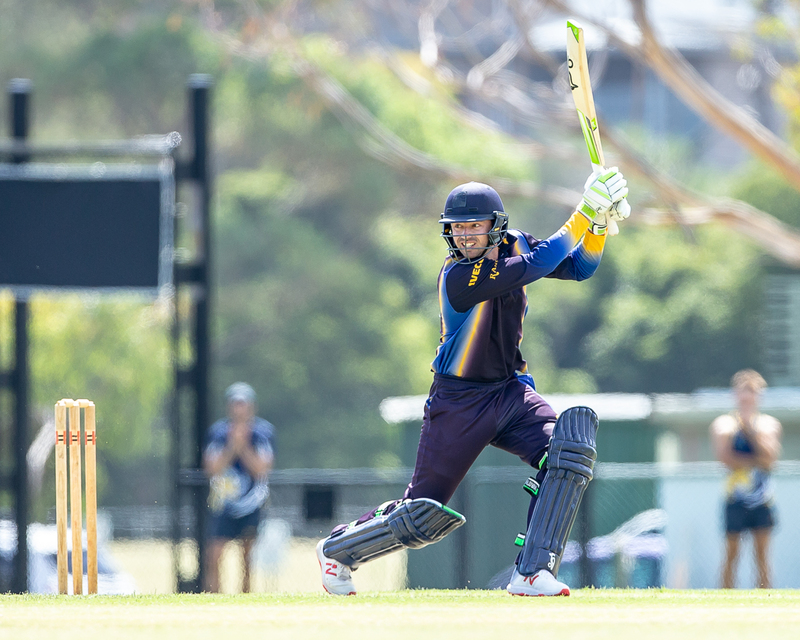 The Rams’ notched up their first win for the 1st XI last weekend against Prahran and will be looking to finish on a high with another victory, while the Mustangs made Dandenong work for the points last week in a low run chase. While the Rams will be keen to come out of the T20s with some confidence leading into the back half of the season, I feel the Mustangs will have too much experience with their line-up and expect them to come away with the points. Prahran (8th) take on Carlton-Brunswick (4th) at Toorak Park. The True Blues have struggled with the T20s again this season due to how heavily decimated their line-up is as a result of the WBBL but at the same time have provided some opportunities to some younger players. The Strikers have been competitive across the season so far and will be keen for the opportunity but will be waiting to see how many players the True Blues get back from WBBL sides that have not qualified for the WBBL Finals. If Prahran get at least 3 WBBL reps back this week they will go in as favourites. Finally, Melbourne (5th) take on Plenty Valley (3rd) at the Beaumaris Secondary College – North Oval. The Demons were one of the few sides to be heavily decimated by the WBBL and have seen an up-and-down T20 campaign when some expected them to be at the top of the ladder. The Bats are continually on the improve and are showing strong development under coach Adam Drinkwell. Both sides will be keen to finish strongly and take some momentum into the back half of the season. Suspect Melbourne will get the points at home. Meyrick Buchanan (Melbourne) will play his 100th Premier 1st XI match this weekend when the Demons travel to Ringwood. Meyrick also notched up his 2,500th Premier 1st XI run last week during his unbeaten innings of 121* against Northcote (now sitting on 2,595 1st XI runs along with 54 wickets and 29 catches at the time of writing). 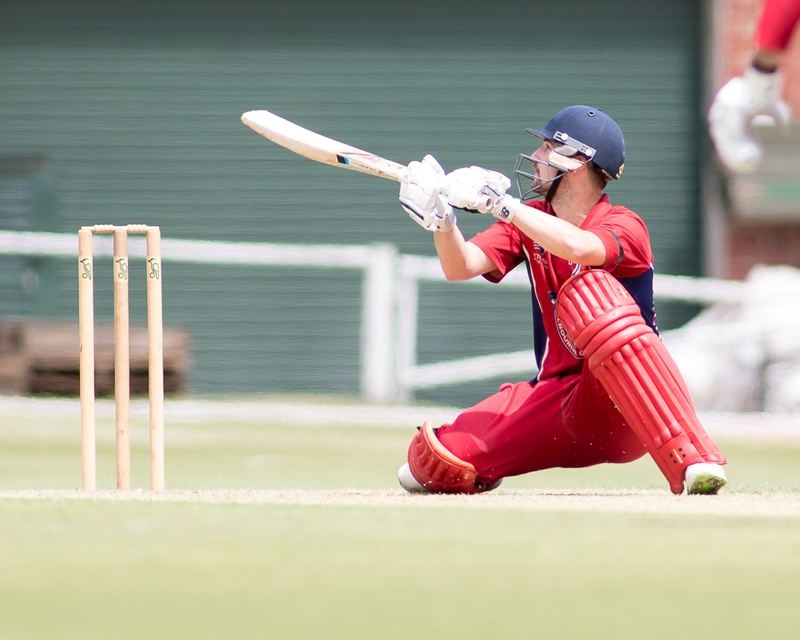 Jackson Coleman (Melbourne) will play his 50th Premier 1st XI match this weekend when the Demons travel to Ringwood. 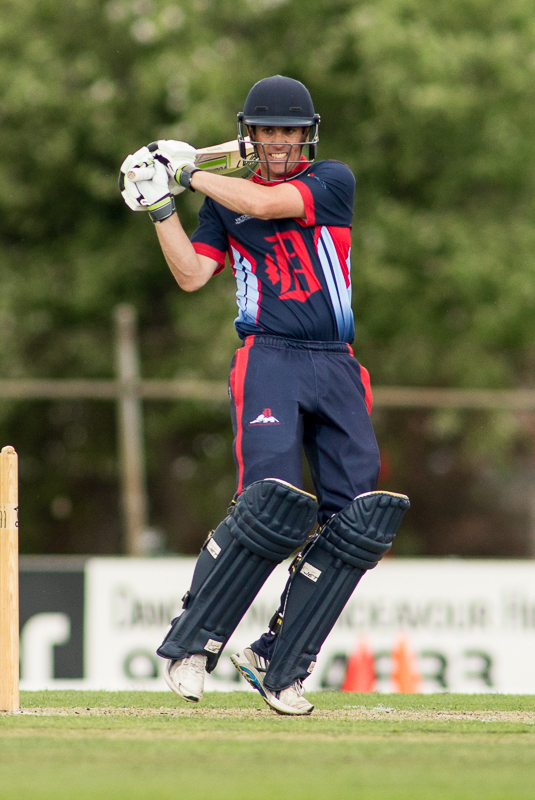 Blake Thomson (Melbourne) will play his 50th Premier 1st XI match this weekend when the Demons travel to Ringwood. Cameron Stevenson (Carlton) will play his 50th Premier 1st XI match this weekend when the Blues face off against Fitzroy Doncaster in the top of the table clash at Princes Park #1. Tom Donnell (Dandenong) scored his 7,500th Premier 1st XI run during his innings of 24 against Carlton. Solomon Mire (Northcote) scored his 2,500th Premier 1st XI run during his innings of 100 against Melbourne. Damon Egan (St Kilda) scored his 1,000th Premier 1st XI run during his innings of 50 against Casey-South Melbourne. Peter Sweeney (Dandenong) scored his 1,000th Premier 1st XI run during his innings of 31* against Carlton. Arjun Dhull (Prahran) scored his 1,000th Premier 1st XI run during his innings of 62 against the Monash Tigers. Brenton McDonald (Geelong) took his 300th Premier 1st XI wicket when he had Fitzroy Doncaster’s Nat Vardi Caught & Bowled. Steven Reid (Melbourne University) took his 250th Premier 1st XI wicket when he had Essendon’s Aaron Ayre caught by James McNeil. Brendan Walsh (Ringwood) took his 150th Premier 1st XI wicket when he had Frankston Peninsula’s Christopher Dew caught by Matt Fotia. Daniel Sartori (Monash Tigers) took his 100th Premier 1st XI catch when he caught Prahran’s Sam Cook off the bowling of Fred Klaassen. Brayden Stepien (Carlton) took his 50th Premier 1st XI catch when he caught Dandenong’s Brett Forsyth off the bowling of Thomas Smyth.